Lida is a small city located in the Grodno region, famous for its magnificent sights and fascinating excursions. Every year, Lida attracts thousands of tourists from all over the world and this is not surprising, since every traveler can find here an activity to his liking. We have analyzed the reviews of tourists and collected for you a list of the best attractions of Lida, by which you precisely can not pass. 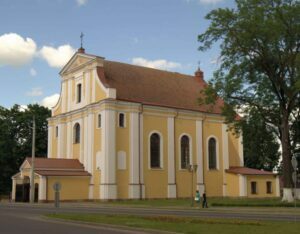 Since the second half of the 14th century, many attempts have been made to erect a Catholic church in Lida, but due to the constant attacks of the Crusaders, the temples were destroyed. Only in the 18th century, thanks to donations, Bishop Phoma Zenkovich was able to build the Church of the Exaltation of the Holy Cross. The church is a unique architectural monument in the style of the late Baroque and will not leave anyone indifferent. The central city library is located in Lida on Leninskaya Street. In the next house there is a bath complex. Funny neighborhood, is not it? At the entrance to the bath you are greeted by an amusing bath attendant attendant in slates, with a broom and a briefcase from which the fish sticks out. Locals named the bath attendant Vasya. According to the tradition, before visiting the bathhouse, you must always touched Vasya’s nose, shake his hand, and even rub a fish. And then your life there will be happiness. 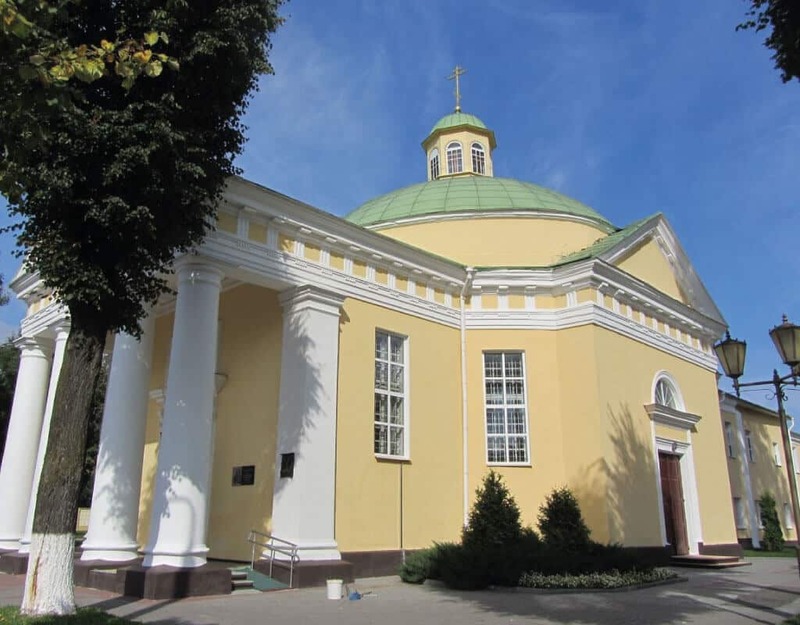 In Lida there is a monument of Belarusian architecture of the era of classicism — St. Michael’s Cathedral. Until 1818 on the site of St. Michael’s Cathedral was a wooden church, which prevented the expansion of the Roman Catholic monastery. So soon the temple was demolished. In its place in 1825 a wooden catholic church was erected. In 1842, a fire broke out in Lida, which destroyed most of the buildings. The whole church was burnt down. Over the next twenty years, its ruins collapsed under the influence of snow, rain and wind. In 1863 with funds allocated from the tsarist treasury, the St. Michael’s Cathedral built of bricks in the form of a cross with a circle in the center. At the beginning of the 20th century the temple was closed, and for a long time its two-story extension to the building was used as a residential building. Later, a museum was opened here. Only in 1980 the building received the status of an architectural monument. The Hill of Glory is, perhaps, a place that should be visited not only by every tourist, but also by every resident of all the former Soviet Union countries. This is the place where you can bow to those who left their lives on the battlefields during the years of terrible war. 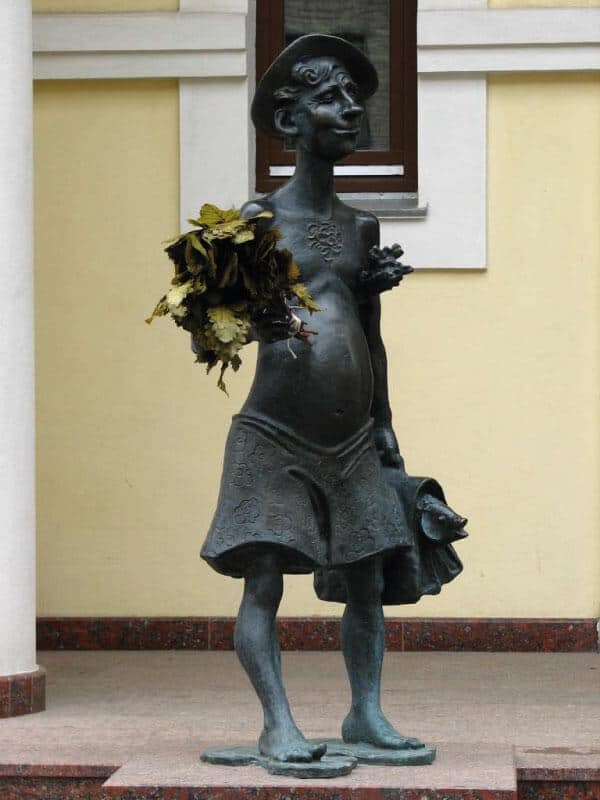 And the poetry of Isakovsky at the foot of the mound makes us crying: «Wherever you go… Just stop here. You should bow to this grave with all your heart». Exactly the same words are stamped on one of the Monuments of the Road of Life in Leningrad. 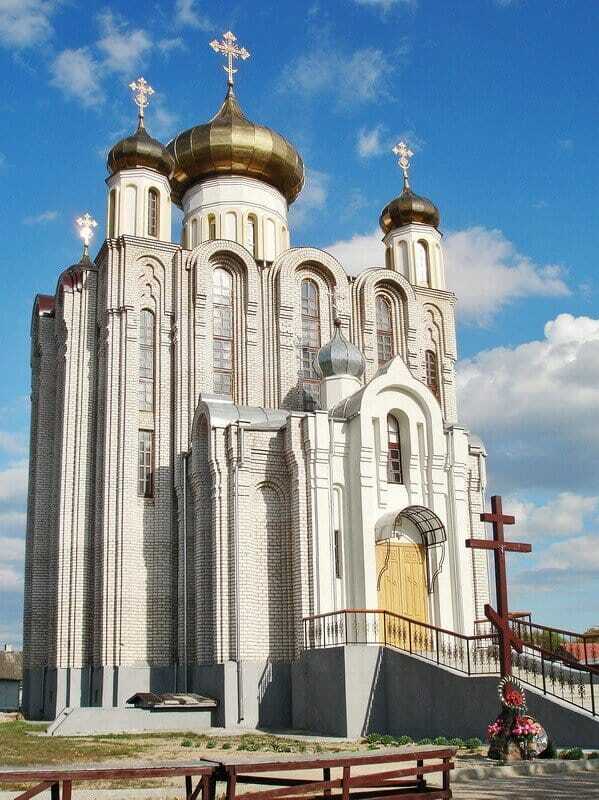 The Orthodox Church of Panteleimon the Healer was built in 2006, near the historical center of the city of Lida. The temple is made in neo-Byzantine style, with high ceilings and a carved wooden altar. Lida is a city where Catholic and Orthodox believers easily get along. There is no inter-religious strife here, and Christians respect each other. Every year an Orthodox festival takes place in Lida, part of its events are organized by the church of St. Panteleimon. Why should you visit this tourist attraction of Lida? Tourists celebrate a special architecture. «The majestic architectural solution attracted my attention. Handsomely! The first impression of the church — very high and beautiful, this is the architectural zest!» — say the travelers. The most interesting and the most popular landmark of the city is Lida Castle. 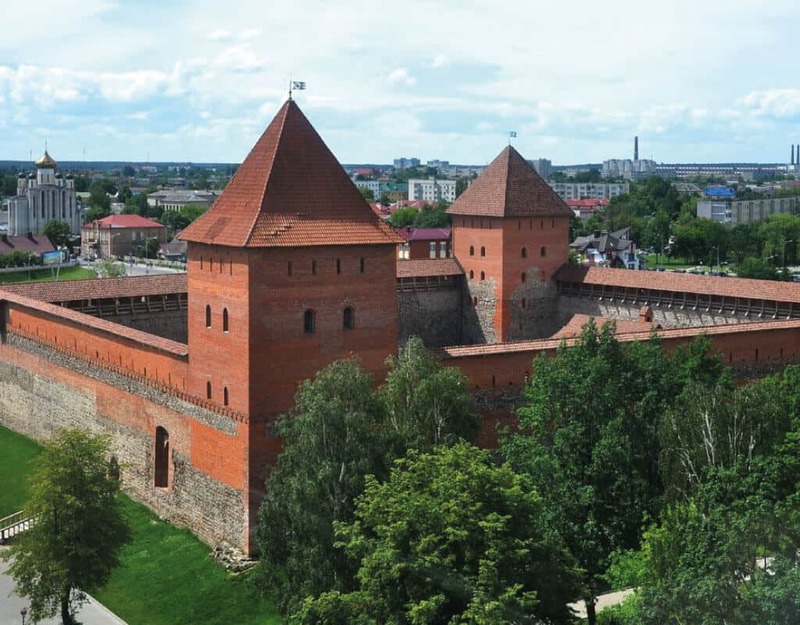 Lida Castle was built in the XIV century by the order of Prince Gedimin, and since then its history has repeatedly changed. He was subjected onslaught of the Crusaders, was destroyed by time and forgotten until then has not been recognized as a historical value. The Lida Castle is notable for its architecture and unusual history. Learn more about Lida Castle in our article «5 Reasons to Visit Lida Castle». Do you have some more free time and you want to get to know Lida and its sights better? 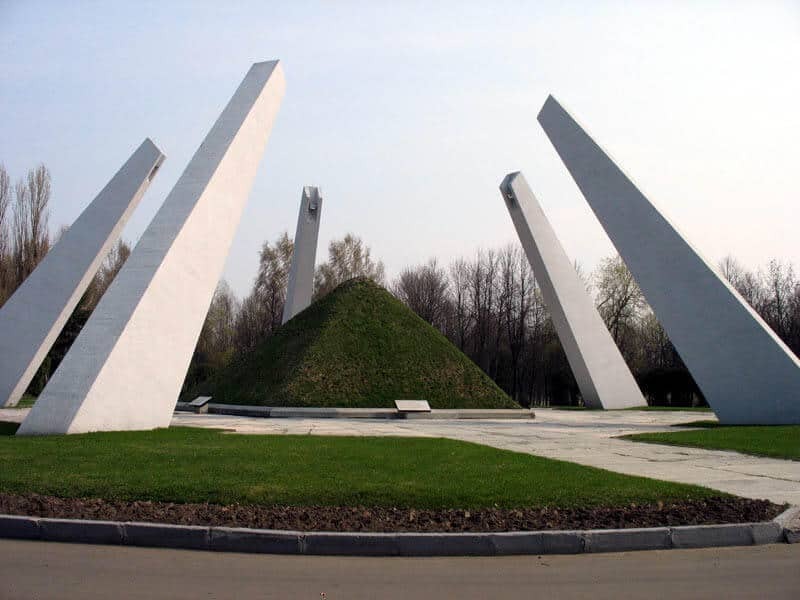 Then pay attention to the monument to the soldiers-railway workers, stroll along the river Lidei, admire the sculpture “Traveler” and go to the homestead “Alba Ruthenia”. And do not pass by restaurants! In them you will try out amazing local cuisine. Have a great trip to Belarus!